Sole advisor to KPIT Cummins for the acquisition of CG Smith Software. 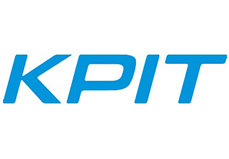 KPIT Cummins Infosystems Ltd, a global IT consulting organization focused on the Automotive & Semiconductor sectors, today announced that it has entered into a definitive agreement to acquire 100% equity of Bangalore based CG Smith Software Private Limited, an SEI CMM Level 5 company, focused in the realm of embedded and real-time systems for automotive electronics. The all-cash acquisition is for a consideration of Rs 38 crores (Rs 35 crores upfront and balance upon fulfillment of certain performance conditions). KPIT Cummins will leverage the in-depth automotive expertise of all the 200+ members of Team CG Smith to create a truly dominant force in automotive electronics. All the members of the leadership team at CG Smith Software will continue to work with KPIT Cummins. The deal is subject to legal and other clearances which are likely to get completed by June 2006. KPIT Cummins Infosystems Limited is a focused IT consulting partner of first choice for its customers across the globe. KPIT Cummins provides integrated offerings that include Advanced Technology Solutions (Automotive and Semiconductor Solutions), Business IT + Business Intelligence and BPO / KPO for the Manufacturing and Diversified Financial Services verticals. The Company has grown at a fast pace of above 70% CAGR over the past three years. Strategic partnerships with 2 of the largest and renowned players in their respective areas: Cummins (Manufacturing / Automotive) and Lehman Brothers (Financial Services) are a testimony to this focused business model. KPIT Cummins has been recognized as one of the 35 Rising Stars among the Global Outsourcing 100 by International Association of Outsourcing Professionals. The Company has also been ranked 2nd in Sales Growth, 3rd in Gross Block Growth and overall 8th among all listed Indian IT companies by Dataquest. (August 15, 2005). Incorporated in 1994, as a joint venture between Crompton Greaves Ltd. and Smith & Co. Inc., CG Smith Software has been a prominent provider of Real-time & Embedded - Software Services and Products. The company’s strengths lie in electronics for automotive sector. Within the Automotive Electronics space, CG Smith Software has immense expertise in cluster, infotainment and safety systems, Powertrain and Body Electronics serving several Fortune 500 companies across the globe - primarily in US, Europe and Japan.